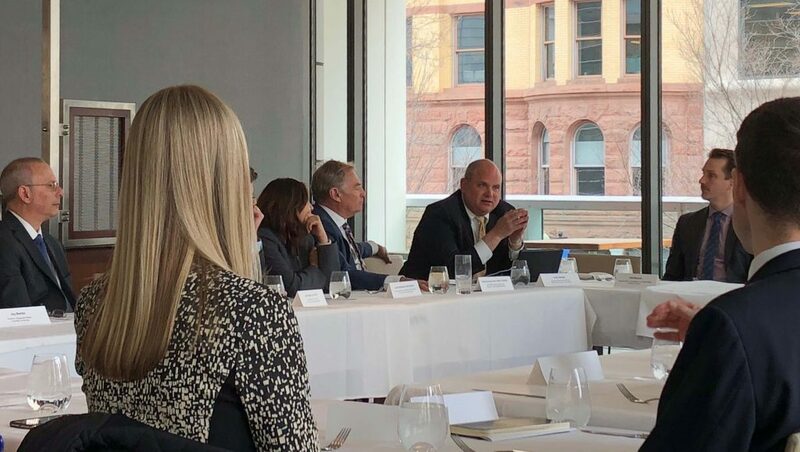 On April 11th in Washington DC, nearly 25 individuals gathered to be part of an exclusive roundtable to discuss a global approach for naming harmonization of biologic medicines. Representatives from the U.S. Food and Drug Administration, Health Canada, physician and pharmacist associations, and patient advocacy organizations convened to explore the feasibility of this endeavor and what steps might be taken to operationalize a global naming scheme. 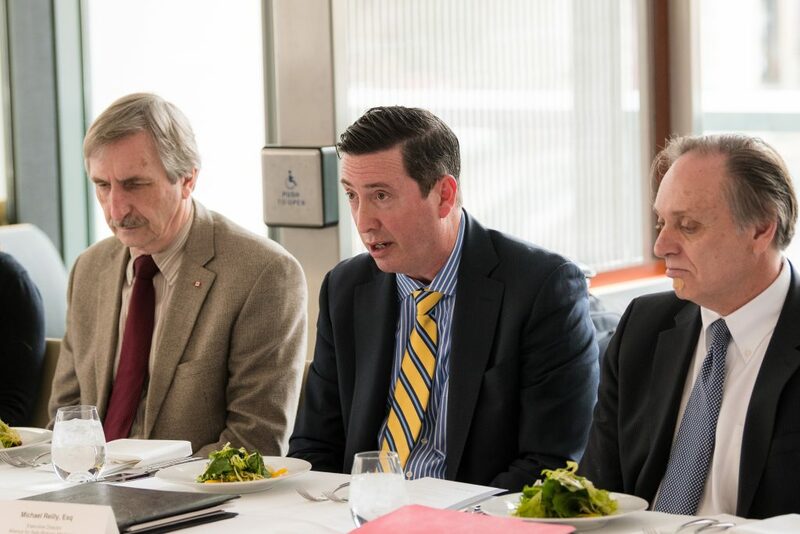 Health Canada’s Anthony Ridgway, left, and ASBM President Doug Badger, right, listen as ASBM Executive Director Michael Reilly discusses the value of internationally-harmonized biologic naming. 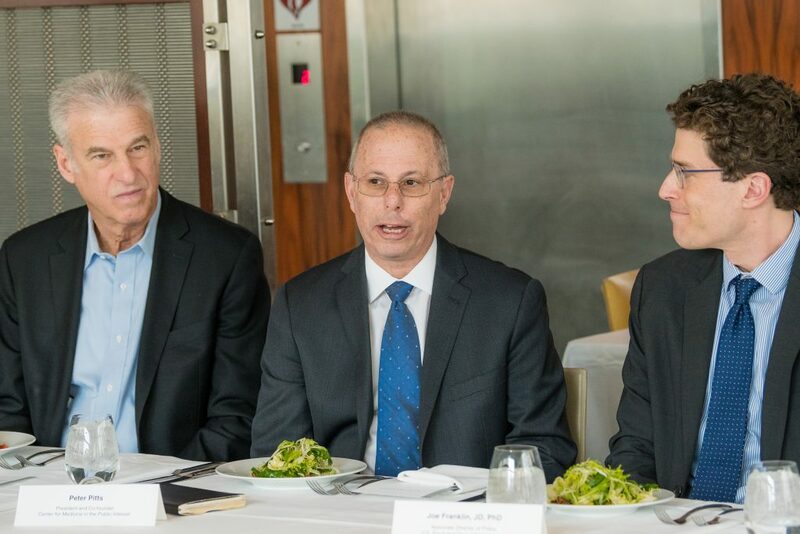 The Alliance for Safe Biologic Medicines (ASBM), in partnership with Scientific American, hosted the event. Brady Huggett, Business Editor of Nature Biotechnology, a Scientific American publication, moderated the event. Since their introduction into global healthcare markets a decade ago, biosimilars have greatly expanded treatment options. For example, to date, nine biosimilars have received FDA approval in U.S. with 240 in the development pipeline; in Europe 28 biosimilars have been approved in the past 10 years. However, global harmonization of biologic naming has not yet been achieved—a situation that may impede pharmacovigilance, patient safety, prescriber clarity and even uptake of these medicines. This is because the regulatory agencies in different countries have varied in their approaches to the naming biologics and biosimilars. At the meeting, it was clear that participants agreed that distinguishable names and a harmonization of naming conventions across regions for all biologics (innovator and biosimilar) would ultimately improve patient safety and access. Andrew Spiegel of the Global Colon Cancer Association emphasizes the value of distinguishable naming for patients worldwide. “Through clarity, you get safety,” stated Peter Pitts, President of the Centers for Medicine in the Public Interest and former Associate Commissioner for External Relations at the FDA. Former FDA Associate Commissioner Peter Pitts comments on the value of unique naming for all biologics. ASBM intends to present the perspectives shared at this meeting to the World Health Organization (WHO) at its appearance May 1st at the 66th Consultation on International Nonproprietary Names (INN) for Pharmaceutical Substances. In addition, Scientific American will write a white paper on the proceedings to be published in Nature Biotechnology.